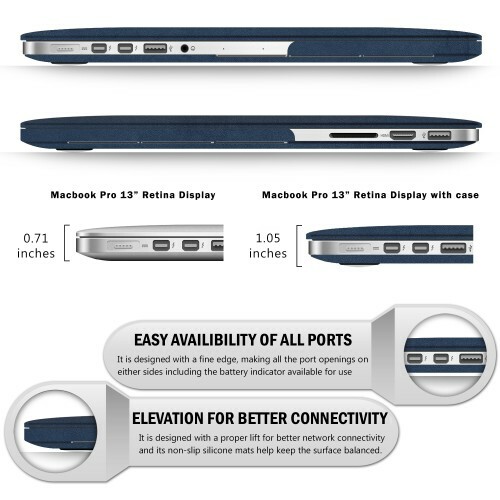 - Top and bottom covers are made out of soft to touch, yet grippy leatherette exterior texture to protect your MacBook from scrapes and scratches. 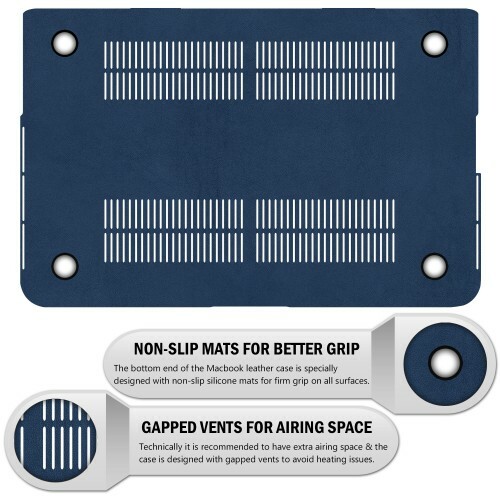 - It is designed with a proper lift for a better network connectivity and its non-slip mats help keep the surface balanced. 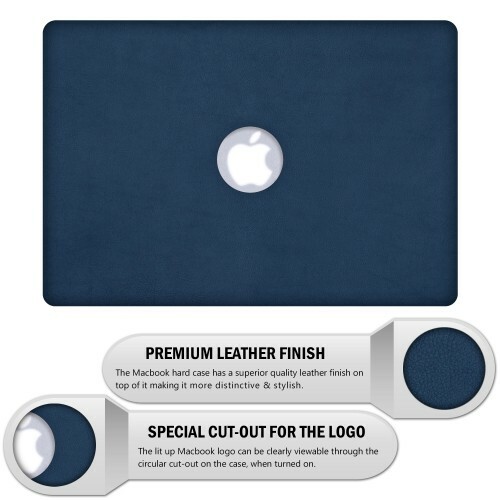 - The Bottom end of the MacBook leather case is specially designed with non slip silicone mats for firm grip on all surfaces. - Technically it is recommended to have extra airing space & the case is designed with gapped vents to avoid heating issues. 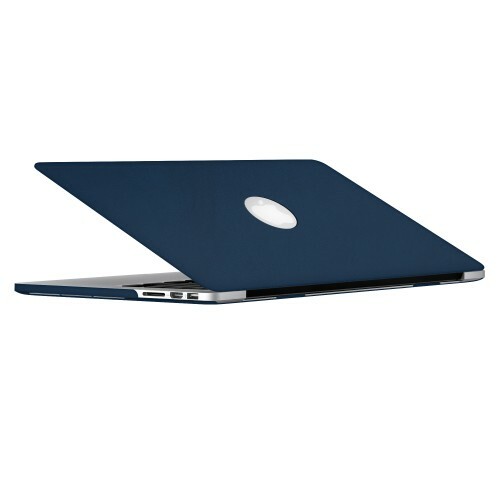 - The MacBook Pro 13"" Retina Case comes with a colored keyboard skin of high quality soft silicone material. 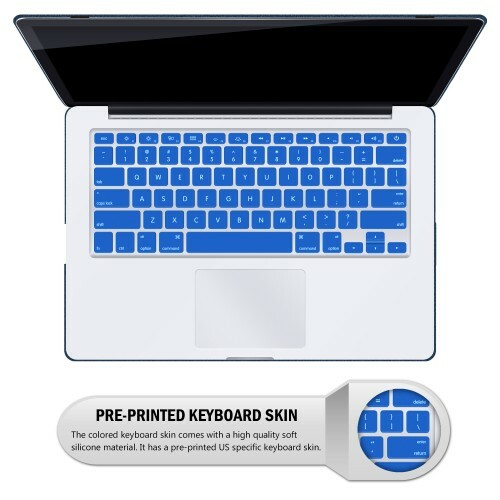 It has a pre-printed US specific keyboard skin.